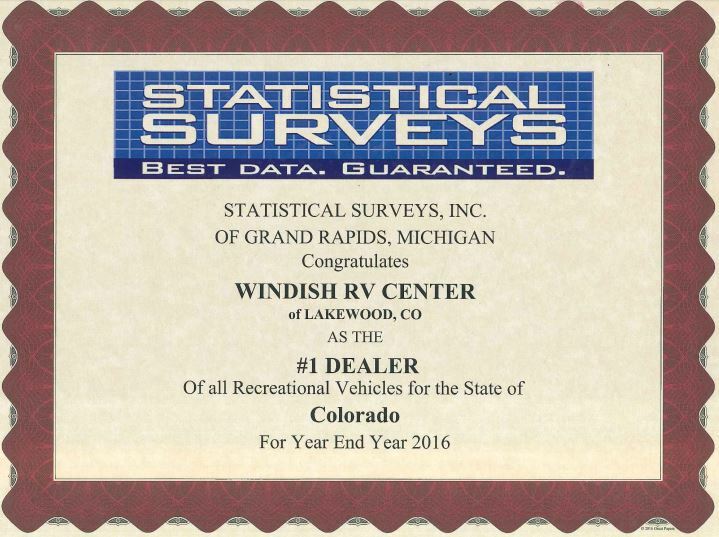 Once again, Windish RV was named the Largest Dealer in Colorado of Recreational Vehicles for 2016! We are proud of this statistic for a number of reasons. Our success is driven by making our customers happy. By offering exceptional products at a great price, our customers continue to rely on us for their RV needs. We appreciate your business and will continue to work hard for you! Being the Largest RV Dealer in Colorado means offering the best selection around at the best deal. Volume business allows us to carry more travel trailers, fifth wheels and toy haulers in stock and offer them at very competitive prices. 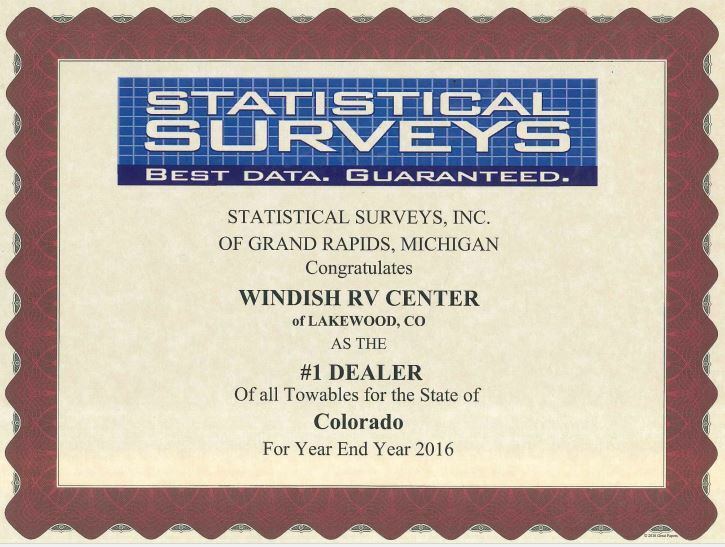 We received the distinction of being the #1 Dealer in Colorado for both Towable RV as well as the #1 Dealer for All Recreational Vehicles Overall in 2016! Being a family owned RV dealership, we are able to solve problems quickly and fairly without checking with a “corporate office.” Our customers can count on an open line of communication before and after their purchase from us. When it comes to selection, we can’t be beat! Choose from top manufacturers such as Airstream, Grand Design, Cruiser RV, Keystone, Heartland, Forest River and Dutchmen! We proudly carry top quality brands that you can rely on. With locations in Longmont, Lakewood/Denver and a new third location in Colorado Springs, your dream RV is just a hop, skip and a jump away. Get Directions to Windish RV. Because we deal in such large numbers on a yearly basis, you will find our Financing Department to be quick and efficient. Windish RV has developed numerous banking relationships that specialize in RV financing at competitive rates and terms. Apply for Financing Online. To see what makes Windish RV a leader in the industry, Contact Us or visit us at one of our multiple locations! Our friendly and experienced staff with help to make your RV dreams come true.